Don't skip lunch, do eat caviar and Peter Thiel's penchant for cannabis. 1. Skipping that lunch-time sarnie could be killing your productivity. 2. 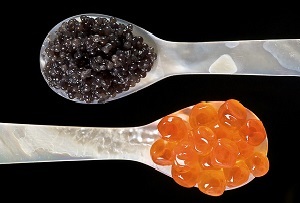 The market for luxury goods is on the up as both Rolls Royce and Fortnum & Mason reported stellar sales growth, the latter thanks to an increasing taste for caviar. 3. Silicon Valley is getting into legal cannabis in a big way. Smoke on that. 5. …but not all retailers had a worse Christmas than usual. 6. Meanwhile, Britons spent 19% less on dreaded Brussels sprouts this year. 7. There's a new big player in the smartphone market, and Samsung and Apple better watch their backs. 8. Out-of-town supermarkets are on the way out. 9. A selfie drone, a self-adjusting belt and the reborn £950 Sony Walkman could be on their way to your home in the near future. 10. Boohoo investors have finally got something to cry about.